As a synthetic creation it only seems natural that laminate flooring would be a by-product of 1970s American ingenuity. Well, the '70s is correct (1977), but laminate was actually invented in Sweden, only to arrive in the United States in the early '90s. As an alternative to other non-carpet floorcoverings, laminate has become extremely popular thanks to its ability to simulate the look of hardwood (and more recently, stone and tile), but for a fraction of the cost. And there are literally hundreds of choices when it comes to styles, including close to 200 designs in the ProSource Wholesale® online catalog. 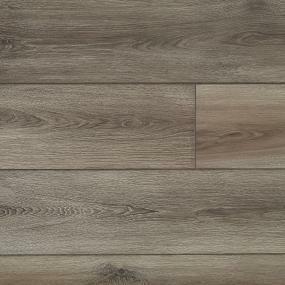 However, selection and price aren't the only benefits of laminate flooring. 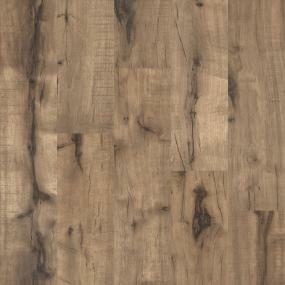 You may not know that laminate is harder than most hardwood products. 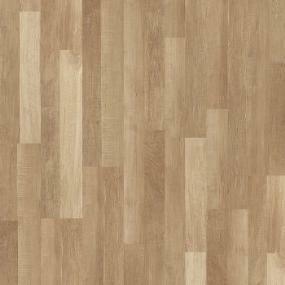 The inherent qualities of laminate are that it does not scratch, scuff or stain as easy as other floors. It also does not fade in UV light. This means that you can cover laminate with an area rug but you don’t have to periodically move the rug so the floor stays the same color. Interlocking laminate floating floors can be installed over clean and level tile, vinyl, concrete or plywood subflooring. But remember: Most laminate flooring cannot be installed in rooms with a floor drain. Cleaning laminate floors is easy, and similar to cleaning other hard surfaces. Sweep, dust or vacuum the floor regularly with the hard floor attachment to prevent accumulation of dirt and grit that can scratch or dull the floor finish. An important point: Do NOT use abrasive cleaners or a wet mop on a laminate floor. Wet mopping can cause damage by soaking into the composite portion which allows warping over time. Lastly, be sure to periodically clean the floor with cleaning products deemed specifically for laminate floor care. There's an almost cult-like coolness associated with laminate. Some customers have been known to go to some pretty interesting extremes to attain an even more realistic wood appearance. For example, the surface of laminate can be hand-scraped, distressed, or covered with authentic-looking knots and wormholes. And you can get laminate that looks like anything from polished marble to timeworn slate; also styles that can be hand-touched for a totally unique flooring look. Many rare or expensive visuals, such as stone or hardwood, can be reproduced at a fraction of the cost. Either way, laminate flooring is always prefinished in either glossy or matte coatings. Hard to imagine such detail – and passion – about a printed strip of vinyl laid over a composite board. Looks like the Swedes had a pretty good idea.